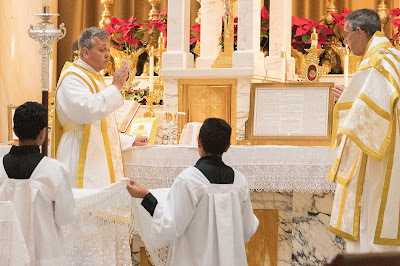 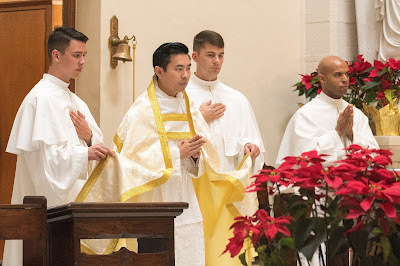 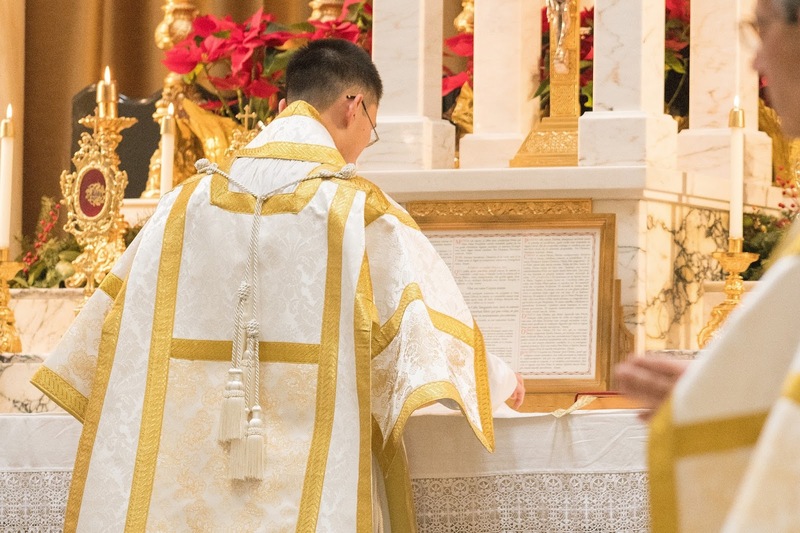 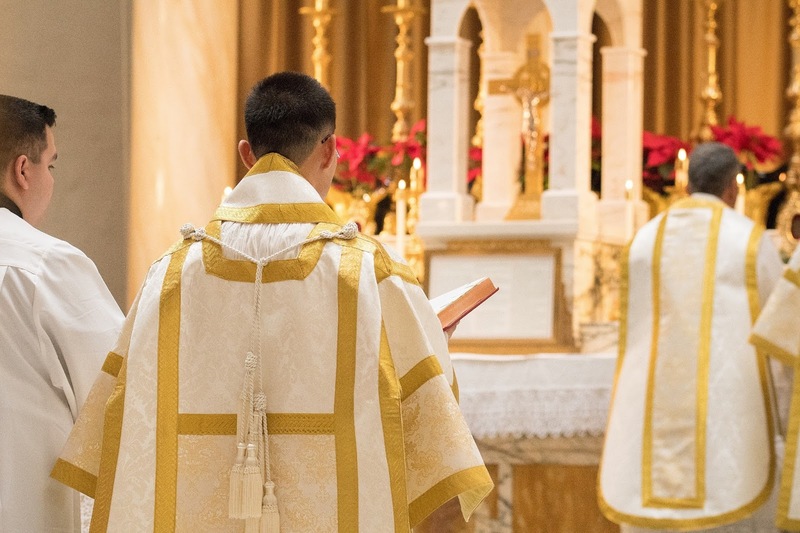 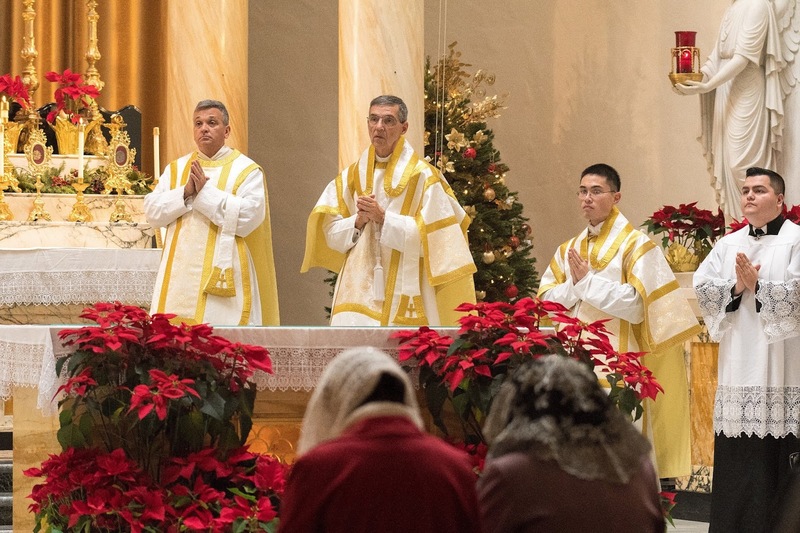 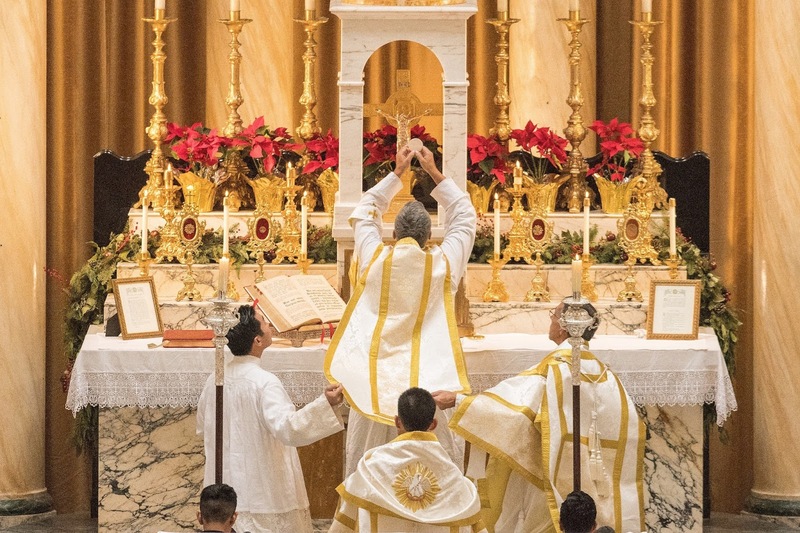 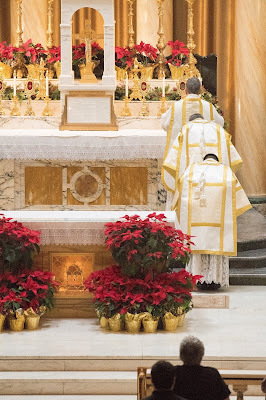 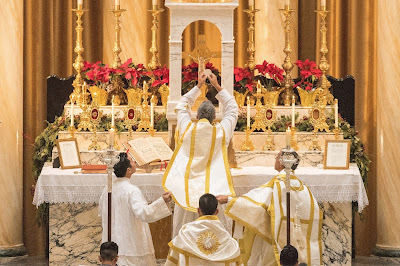 We received a late submission of Epiphany photos, but one which deserves its own separate post, since it gives us a chance to enjoy something a little unusual, a Solemn Mass celebrated in the Premonstratensian Rite. 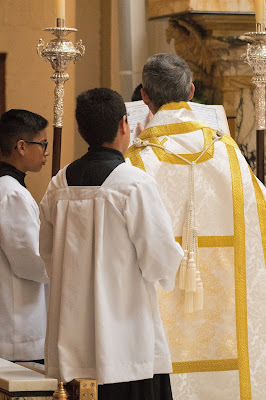 These come to us courtesy of Mr Adhika Lie from the church of Ss Peter and Paul in Wilmington, California, which is staffed by the Norbertine Canons of St Michael’s Abbey in Silverado, one of the most vibrant young religious communities in the United States today. The photos show us very nicely some of the proper customs which distinguish the Premonstratensian Use from the Roman. The deacon and subdeacon bowing their heads at the Collect. 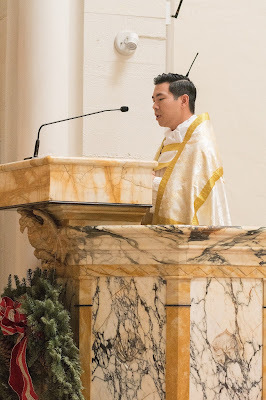 The subdeacon singing the Epistle. 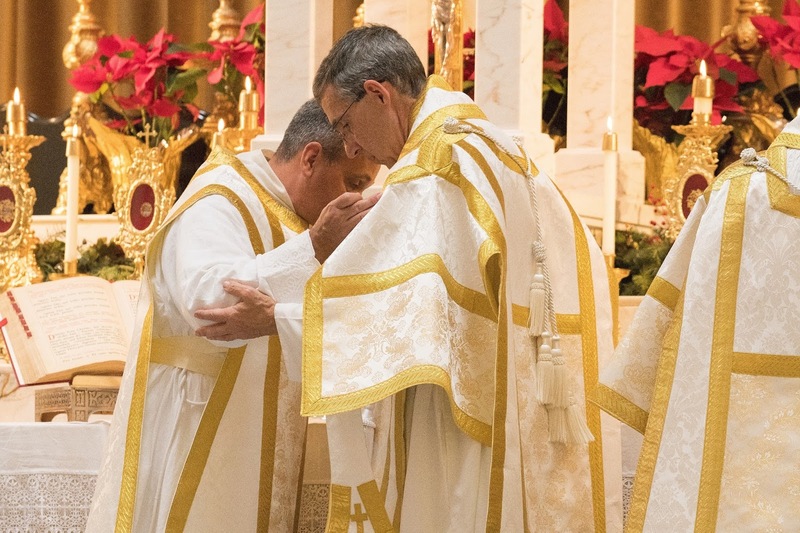 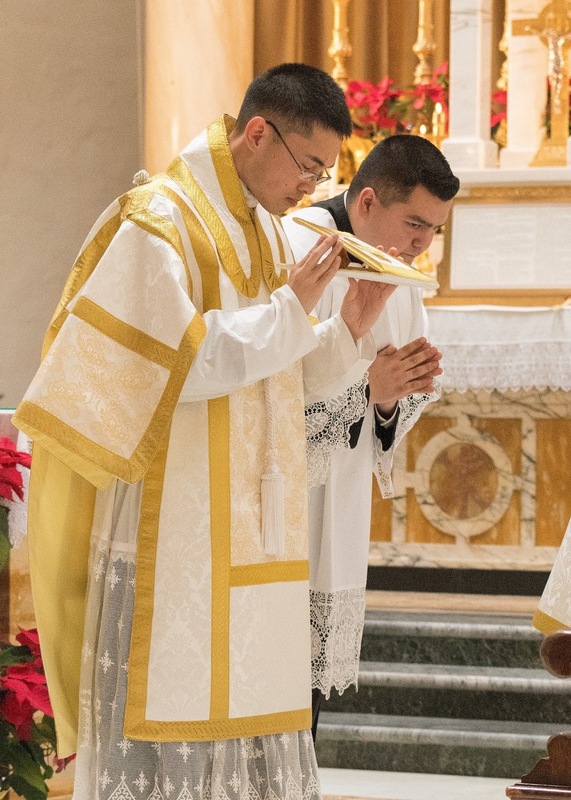 The subdeacon bringing the burse and corporal to the altar, and in the photo below, setting the corporal on the altar. 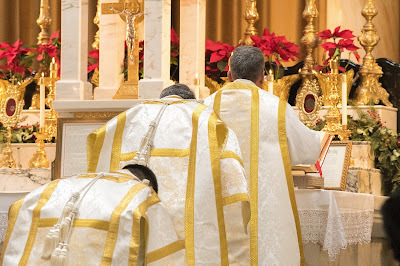 In medieval Uses, it was commonly the practice to prepare the altar and the chalice either during the Epistle, or between the Epistle and Gospel. 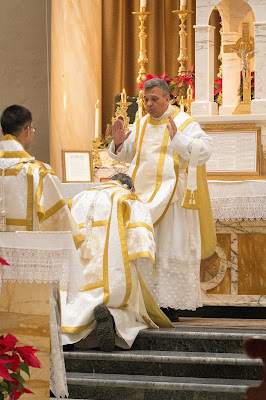 The deacon kneeling for the Munda cor meum. 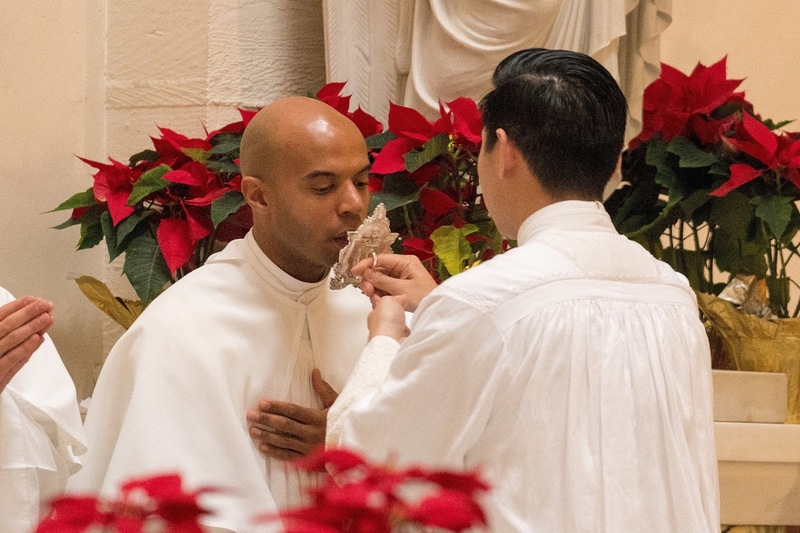 A deacon in cope comes to the ambo to sing the Proclamation of the Movable Feasts. 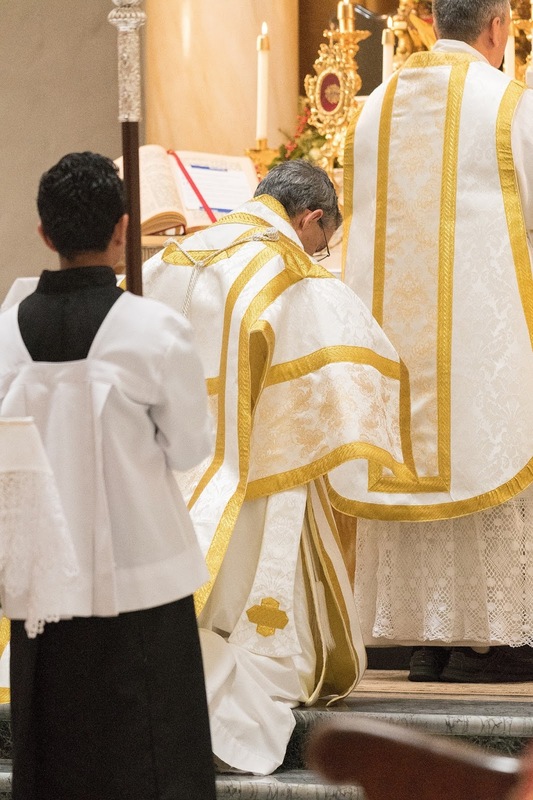 The Gospel book is brought to be kissed not only to the celebrating priest as in the Roman Rite, but also to the clergy attending in choir, another common medieval custom. 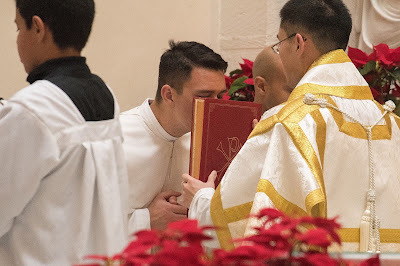 The Peace given to the clergy in choir with a Pax brede. A houseling cloth at Communion.